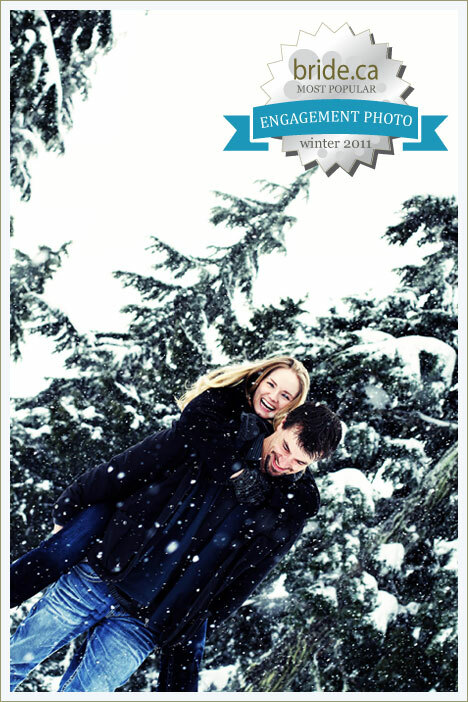 The "Winter" portion of our ongoing Best Engagement Photos in Canada contest (twitter: #EngagementPhotoAwards) is complete and we have our People's Choice winner! The vote was very very close indeed, right down to the last minutes before the midnight deadline! (A big "thank you" to all our Facebook fans). When the final tally was in, Barbara & Kent edged out Abigail & Matthew by the tiniest of margins: 12 votes! All 20 Winter finalists are automatically eligible for the overall Photo of the Year award - our editors will pick those, in January..
Spring Submissions are now Open!. (engagement photos taken in April & May 2011). Brides, photographers, spread the word and send us your photos!